Can you use more than one wireless headset per phone? Can more than one wireless headset be used with the same base/phone? Am I correct in understanding that more than one wireless headset can be used on this base (CS500 Series)? We have numerous people who back up answering the phone when I’m not here. I’m trying to decide if they each need a base and wireless headset. Help! If you want other wireless headsets to work off the main base, you will need the following items: spare wireless headset (86179-01), charging cradle (84599-01), and a charging base (86005-01). When you are gone and another person is covering your phone, like a main receptionist, they simply remove your wireless headset off the base and dock their wireless headset (after a few seconds it automatically becomes the primary headset). Your wireless headset can go on the spare charging cradle to be charged. When you return, place your wireless headset into the main base station, making it the primary headset again and return the backup wireless headset to the spare charging cradle/base so it can stay charged until needed again. Customers have asked if they can connect multiple wireless headsets to the same base. 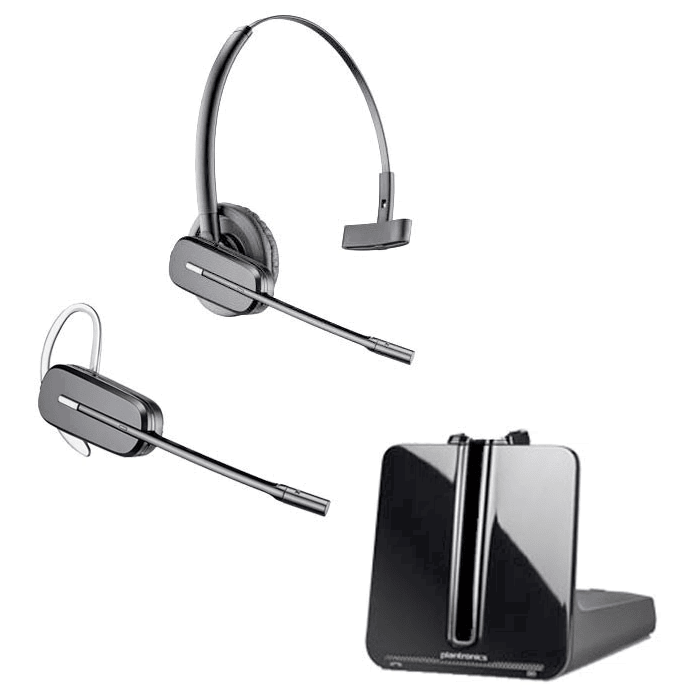 You can conference up to three additional wireless headsets to the primary base, simulating a conference call, but with the convenience to be mobile during your call. However, conferencing additional wireless headsets doesn’t allow you the ability to answer/hang-up calls remotely if an HL10 or EHS cable is used. Only the primary headset will have switchhook capabilities to answer and hang-up remotely. For further assistance please contact our sales team at 800-914-7996 or check us out at www.headsetsdirect.com.